Why Siam Insect Zoo is special ? Siam Insect Zoo is unique among the many Chiang Mai Attractions. Siam Insect Zoo was opened on the 1st October 2006 by the Ek-Amnuay family as a museum to display the results of 30 years of insect collecting. Siam Insect Zoo is not simply a museum but is actively involved in research and breeding of insects. Several books on Butterflies and Beetles, some in English, have been published by Siam Insect Zoo as a result of their research. As a sign in the Siam Insect Zoo states that there are between 10 and 30 million species of insects in the World but only 1 million are known to Science there is still a lot of work to be done. What to explore at Siam Insect Zoo? The Siam Insect Zoo is divided into several separate areas. 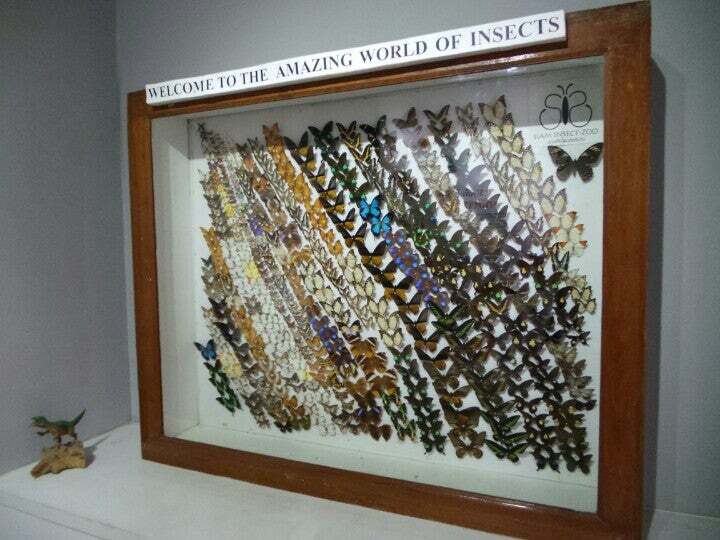 On entry are the showcases displaying Butterflies, Insects and Beetles. Passing through this area you find the live breeding section with a variety of Beetles and Insects, depending of course on the season. There is also a large Butterfly enclosure. One of the many nice things about the Siam Insect Zoo is that all the information signs are in both Thai and English which is no mean feat as there are literally hundreds of information notes. The Zoo is well laid out and has something for everyone to enjoy whether it be the casual observer, nature lover or academic student. A trip to The Siam Insect Zoo can be combined with visits to some of the other attractions in the area which include, Monkey Shows, Snake Shows and X-treme Sports. How to get to Siam Insect Zoo? It takes 40 mins driving from Chiang Mai International Airport. You should bring plenty of cash because this zoo does not accept Credit Card. You should bring your camera to caught the fascinating sightseeing of insect. There is a cafe within this zoo, you can enjoy some drink after visiting time. There is a souvenir store, you can buy T-shirt, frame insect to make a souvenir. Impressive collection of both mounted and live insects. Super nice owners and staff that will explain their collection and let you handle many types of insects such as caterpillars and scorpions! The Insect Zoo is about 45 minutes drive from the Old Town area of Chiang Mai. It's not a huge place and not yet overly commercialised, which we really liked. 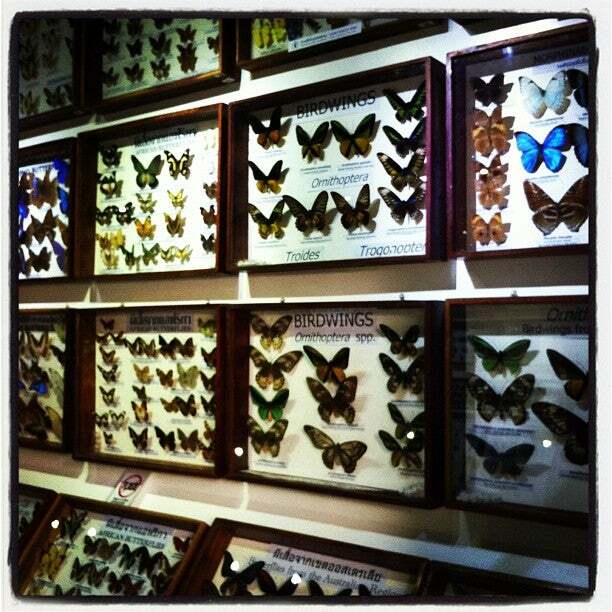 Initially you walk through a little museum area of preserved insects. There is everything on display here, big and small (and there are some really massive insects around!) and you learn about all the different types of creepy crawlies. The next area is the 'live' insect section. There are caterpillars, butterflies, tarantulas, giant beetles, scorpions, stick insects and various types of lizards, to name just a few. Staff encourage and help visitors to have real up close and personal interactions with most of these creatures - yes, you can safely touch and hold a lot of them! This is interesting, nerve-wracking, scary and fun all at the same time! We never thought we would leave the place wishing we could have a bearded dragon or a stick insect for a pet, but we did! On-site there is also a small, good-priced little gift-shop and a nice coffee shop. We enjoyed a good few hours here and would definitely recommend to others, especially those with kids.